In this series we talk about business and technical aspects of several use cases that are relevant for the SAP S/4HANA 1610 release. In the last week we talked about PLM – Embedded software and this week we will focus on Production Planning and Detailed Scheduling. 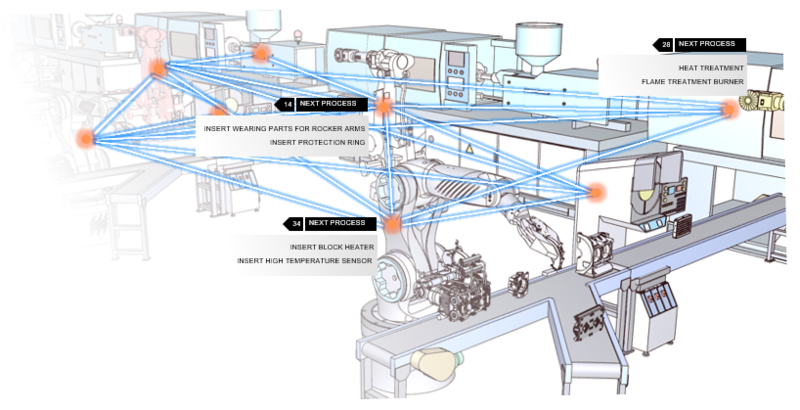 The focus of technological change in the manufacturing industries will change in the coming years towards an ultra-connected world. This digital transformation is needed to build the supply chain of the future. That future, stimulated by a rising wave of global uncertainty and business complexity, is coming sooner than many companies expect. In addition, as explained in the latest blogs like advanced Availability to Promise or Procurement for example, consumers expect instant personalized products. In the same way, the new realities of e-commerce and social media is changing the definition of what’s “fast”, evolving customer ordering practices as customers expect faster shipping speeds, and last-minute supply and design changes will be common. This drivers to meet customer demands will encourage companies to transform the manufacturing processes to become adaptive, fully connected and even cognizant of its own power quality. – with SAP Advanced Planning & Optimization (SAP APO), compared to the possibilities in SAP ERP, a capacity and detailed planning functionality with many additional options like heuristics, optimization, and block planning methods. SAP APO is installed as an add-on in the SAP ECC for several years. But now, SAP Advanced Planning & Optimization is delivered as an embedded feature on SAP S/4HANA 1610 release. This mean that PP/DS is an integral part of SAP S/4HANA, not an add-on or side-by-side installation, and will be installed and updated together with SAP S/4HANA 1610 (It is however still a separate price list item). With SAP S/4HANA 1610, the existing technological separation of advanced capacity and detailed planning functions from the core ERP functions is resolved. This enables the capacity and detailed planning to be operated directly in SAP S/4HANA without the need to install additional components. The entry barrier for the use of a high-performance capacity and detailed planning component in combination with the proven SAP processes is therefore massively reduced. As in the SAP ECC delivery PP/DS in APO, a large number of different planning algorithms are available for demand planning and scheduling, so-called heuristics, in the “embedded” PP/DS in SAP S/4HANA 1610. 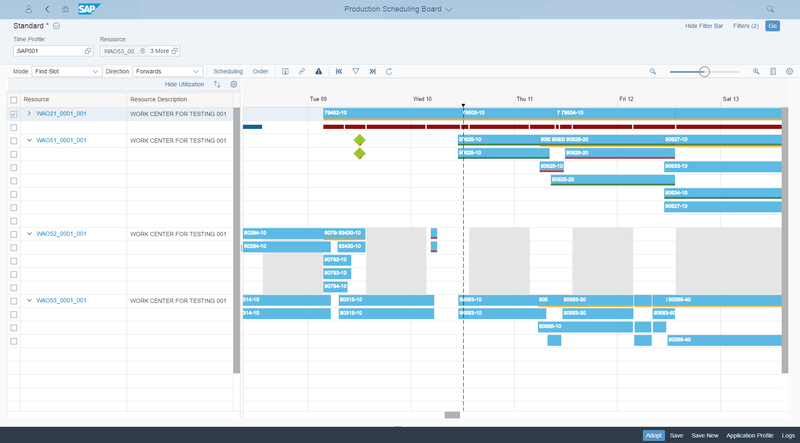 On the roadmap for future releases of SAP S/4HANA, we can also expect a completely new Production Scheduling Board (in the 1610 release, we have the first scope delivery) and an interactive and simulated production planning tool, which is based on the modern SAP Fiori User Interface. To help companies manage in the digital world, SAP will provide, through the consistent continuation and further development in future releases of SAP S/4HANA, enhancements for the manufacturing area to accelerate their digital transformation. The main objective of the capacity planning includes leveling overloads at Work Center/Resource and to achieve optimum utilization of Work Centers/ Resources. • Comprehensive plan to produce in a single system. This mean that with SAP S/4HANA 1610, we bring the core business processes for the material planning together with the capacity planning. • Easy monitoring with two new SAP Fiori apps for the graphical scheduling board (see Fig. 2) and the monitor capacity utilization. i am quite amazed with your blogs.. interesting..Thanks Sven.